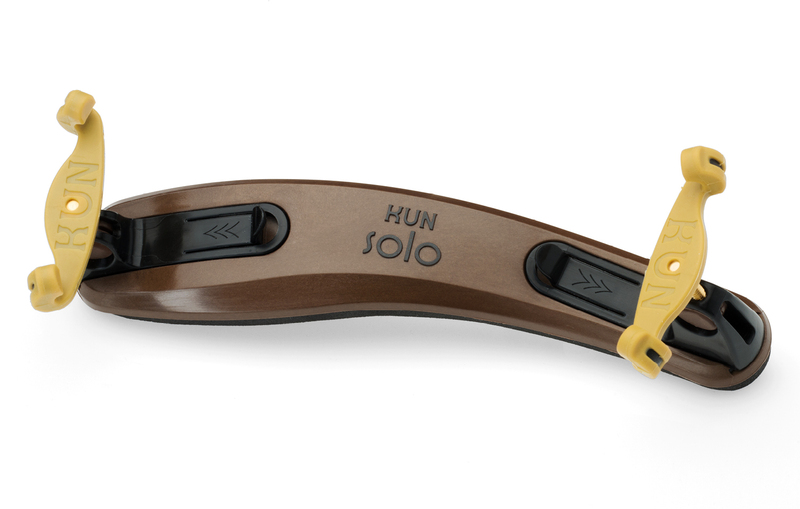 The Kun Solo features a simplified, quick-adjust finger lever that provides ultra-fine size adjustment and eliminates screws. Greater width on the shoulder end gives the Solo added comfort, and a new collapsing mechanism with recessed and integrated drums means its ‘feet’ can be folded easily for storage. 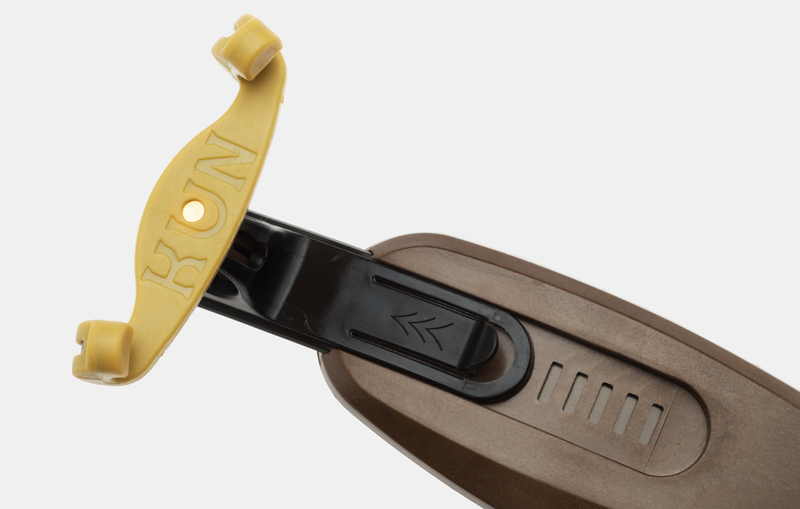 Patterned cut-outs in the Solo’s sponge rubber enhance its grip on the player’s shoulder and reduce its weight, while freeing up your instrument’s sound. 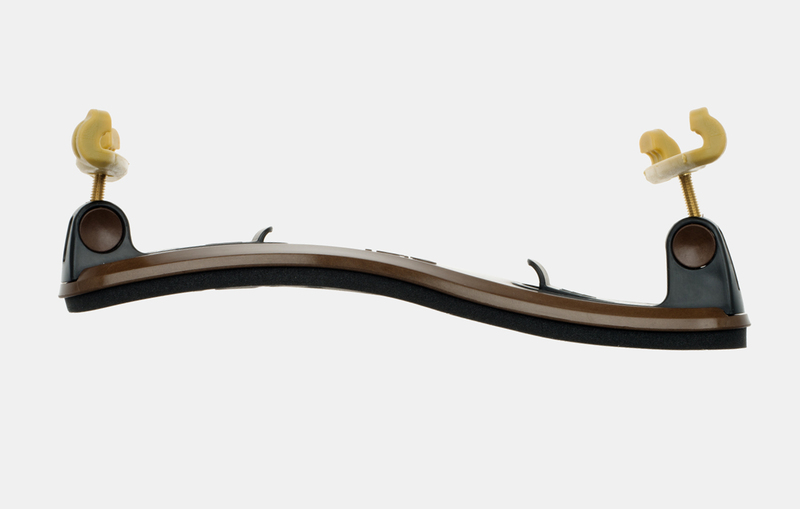 The Solo is the perfect shoulder rest for players with long necks, and those who prefer a taller model. 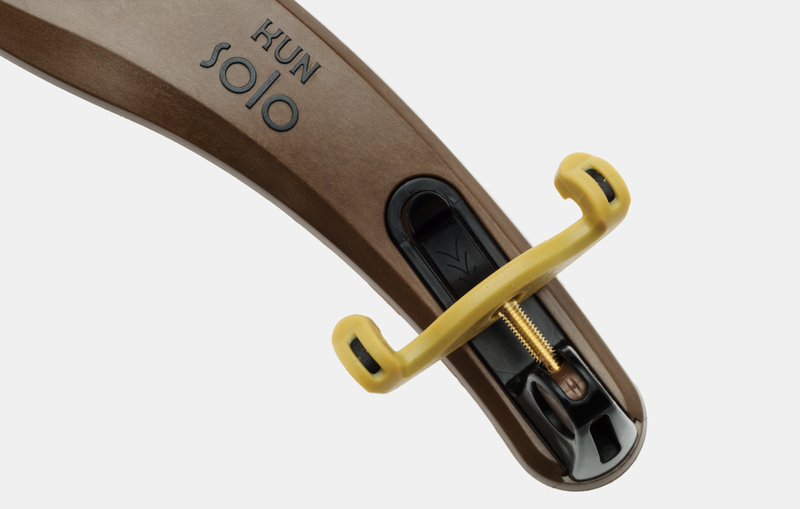 With its sleek, contoured body and chic two-toned design in metallic bronze and black, the Solo is a dynamic and affordable addition to the Kun family of shoulder rests. Notes on the Kun Solo: the Solo is intended to sit in a higher position. When adjusting it, be sure to leave adequate clearance between the adjusting tabs and the back of your instrument. Also, while the Kun Solo shoulder rest comes assembled, you might need to replace the feet at some point. When doing so, it is important that you use one hand to hold the recessed drum firmly on either side, while the other hand screws in the foot. If you don’t, it will be difficult for the threads on the screw to catch on the threads in the shaft into which it’s being inserted.